Open since its discovery in 1881, Capricorn Caves has shared its magic and splendour with people for well over 100 years. And it has never been as grand as it is right now. The Augusteyn family purchased the caves in 1988 and set out on a visionary path to sustainably transform the place into a leading attraction for tourism and education. 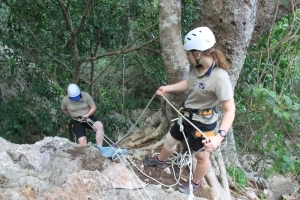 Today, visitors choose from a range of exciting and immersive experiences including daily wheelchair-accessible guided cave tours, wild caving adventures, abseiling, high ropes courses and team building initiatives. 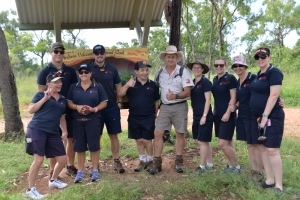 New environment-themed tours incorporate Queensland Museum’s palaeontology dig site and marine fossil caves; a “Behind the scenes” tour specifically caters to students and tourism operators. 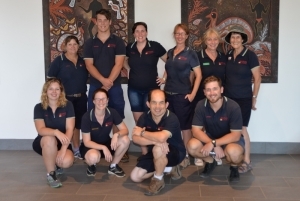 This boundless energy and spirit carries through each person in the 21-strong Capricorn Caves team. The guides are local, passionate and adventurous with a common goal—to give visitors a memorable experience while caring for the caves they love. 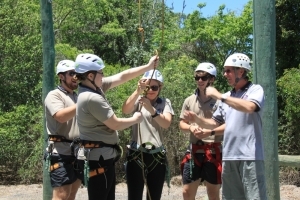 Capricorn Caves is accredited as a Savannah Guides Enterprise and Green Travel Leader in ecotourism, proving a long-term commitment to sustainable practices and top quality nature-based experiences. And with five Queensland Tourism Awards and a bronze Australian Tourism Award, this commitment is well recognised in the industry.